Even after more than 40 years as a priest I find myself amazed and surprised in the ministry. The amazement comes from the types of ministry into which I have been called. The surprise is the way I view priesthood both in itself and in its relationship with the laity of the parishes where I have ministered. I always felt called to parish ministry. Since ordination, however, I have discovered the rich mosaic of that ministry. Looking back, I am amazed that I had the privilege of working in a university campus parish with young adults and faculty, in providing ministry in both Spanish and English, in making weekly visits to share faith with the men on death row at the prison near the parish, and most recently becoming the planter and founder of a new Catholic church community. Of course, I have also found significant joy in daily opportunities for working with the dying, for baptizing and marrying, and for teaching both children and adults. There is an ongoing sense of richness in my life that overwhelms me. No wonder I am grateful. The surprise is not less wonderful. That is how I have come to understand the relationship between ordained priesthood and the universal priesthood of the baptized. As I have learned to appreciate the baptismal priestly call, I have actually found new clarity in my understanding of ordained priesthood. Before I was called to priesthood, I was called to be fully committed to following Jesus. This grew out of the baptism that took place three days after I was born. I wasn’t able to use those words then or in my early childhood, but I look back and can see that being a “practicing” Catholic really meant that I was learning to accept the responsibilities that come with faith. As an ordained man, I lead the faith community in specific ways. Often I become aware that my priesthood is not for me alone but for the entire community. I celebrate Mass or the sacrament of reconciliation with others as my unique role in the community. Yet this ministry grows out of the universal call and I become responsible for others’ well-being even more than my own. 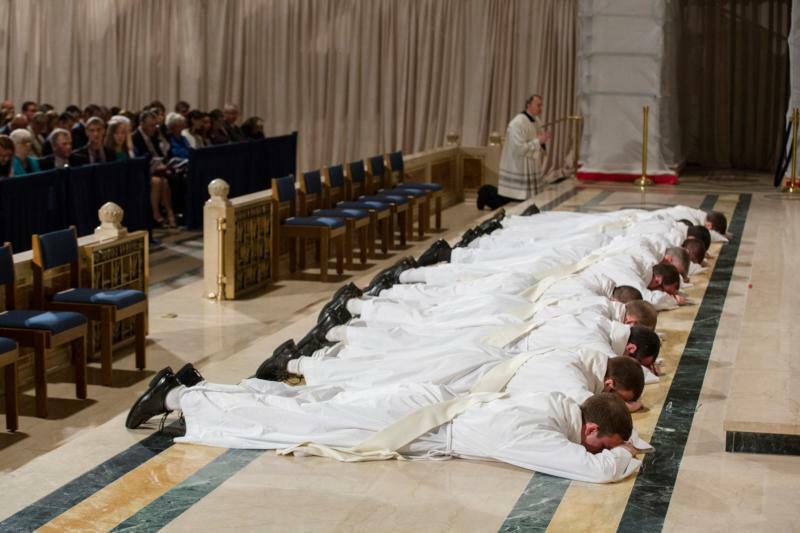 If we start defining the priesthood as what ordination allows us to do that other baptized persons cannot do, then we are missing the connection. We fail to discover that all sacraments take place within the context of the church. Just as this faith community needs me, so I need the faith community as sisters and brothers who inspire me and allow me to be who I am. The surprise, therefore, has been that my understanding of what it means to be ordained has not diminished as I minister side by side with those not ordained. We are on this faith journey together. Sharing in the universal priesthood is what has allowed me to be part of the community in which I can also serve in a way that constantly holds me in awe.